Available in compression and extension. Various sizes - imperial and metric available. Available in Zinc Plated Steel and a variety of diameters and wire gauges. Stainless Steel springs also available on request. Visit our showroom at 30 Verulam road to see the complete range. 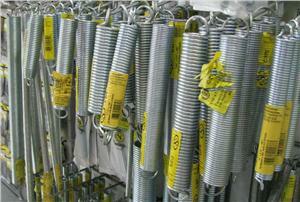 Can't find the spring you need - we can make springs to your specifications. Ask us today.